When you need commercial air conditioning or repair for your Saratoga, NY business or organization, look no further than Family Danz. For more than 30 years, businesses and organizations in the Saratoga, NY area have counted on us for commercial air conditioning installation and repair needs, and we’d like to help your employees and clients stay comfortable as well. Highly skilled HVAC professionals make up our commercial team, which has been specially trained to diagnose and troubleshoot any repair or replacement you might need. Because of this, our team is uniquely qualified to help you choose the best, most efficient commercial air conditioning products for your Saratoga, NY business or organization – as well as your budget. 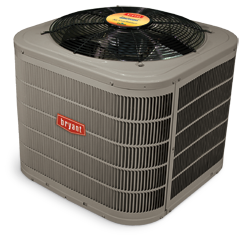 We’ll complete your Saratoga, NY commercial air conditioning installation or repair right the first time. At Family Danz, we understand how costly downtime can be. That’s why we work hard to make sure that your commercial air conditioning installation or repair is done to your complete satisfaction, so you can get back to business quickly.